From March 18-22 of 2015, Nick Bates, a Master’s student in the College of Student Personnel, attended the Placement Exchange (TPE) Onsite event in New Orleans, Louisiana. The event was an entry level job placement conference for student affairs professionals and members of the National Association of Student Personnel Administrators (NASPA). For a graduate student, attendance at the conference was a monumental experience. It provided opportunities to form relationships with published writers, elitists in the field of Student Affairs, and idolized professionals. Not only did the conference provide great educational and professional benefits, but it also served as a break from the normal daily agendas of students and professionals alike. Throughout the course of the week, many NASPA professionals inappropriately utilized Yik Yak, a social media application used to post anonymous messages with a specific geographical location. During its emergence, Yik Yak usage has been related to potential sexual assaults, violence, and shaming. At the conference, professionals used the app in a similar fashion, generating much scrutiny among the field of Student Affairs. 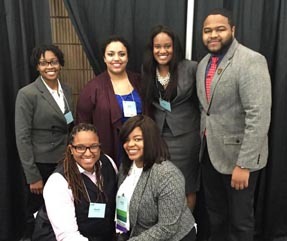 Brittany C. Duron, a graduate student at Slippery Rock University and a NASPA attendee, called out some of her peers. In Should College Administrators Yak Back, an article composed for The Chronicle of Higher Education, Duron stated that she was angered by the anonymity of a select group of professional’s posts and the joined negativity associated with the field. As a result of the maltreatment of Yik Yak and other similar controversies, many student affairs professionals have negatively labeled social media applications. Bates suggests that we must critique the culture that breeds the behavior on social media. He states, “We have to understand that professionals and students are the same in that they are both humans. Our culture dictates behavior, and social media is simply a vehicle to display that behavior”. Despite the improper use of social media applications, when used with intended purpose, these applications lend endless possibilities for educators. During his undergraduate career, Bates enrolled in an African Studies course that required students to participate in weekly chats hosted on Twitter. In a Speech Communication course, Bate’s instructor created a Facebook page to post links and articles for the class to read and discuss within the Facebook group. Through proper usage, social media applications create opportunities to connect with idols and esteemed persons of academia. Through responsible use of Twitter, Facebook, and YikYak, Bates was able to connect with idols such as Melissa Harris Perry, an American writer and political commentator focused on African-American politics, Kimberle Crenshaw Williams, a professor specializing in race and gender issues at UCLA and Columbia Law School, and Bell Hooks, an American social activist. At SIU Carbondale, instructors can use Facebook, Twitter, and Instagram to engage with students on a more personal level. As a graduate student, Bates is thankful to have the ability to converse with his instructors via social media. These applications allow him to discuss ideologies from different disciplines and how they relate to what was learned in the classroom. Bates feels that having more personal relationships with instructors allows him to see his instructors’ values, and how their values influence their pedagogy. The use of social media in academic and professional settings can offer the freedom to share ideas, the promotion collaboration on national presentations and projects, the broadcasting of achievements of students to the world, and the extension of value of knowledge and experiences. Despite the unavoidable occurrence of irresponsible use of social media, students, professionals, and educators should feel encouraged to share their experiences and talents because their posts could potentially spark the mind that could change the world. L to R: TPE candidates: Li Miles (Indiana University), Noha Elmohands (Salem State University), Raven Whitley (University of Illinois Urbana Champaign), Nick Bates (Southern Illinois University). Kneeling are: Shamin Mason (University of South Florida) and Kirby Gibson (University of Wisconsin Milwaukee).